The progression continued as she reached U15 age group, setting Club Records in 60i (7.97s), 100m (12.15s and 12.02w) 200m (25.27s) AND Long Jump (5.56i/5.55m). 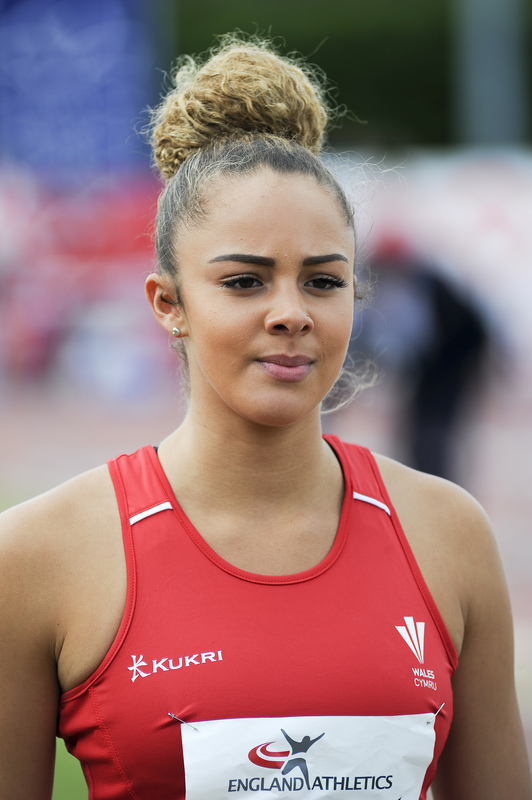 “I first got involved in Athletics when I was in my junior school and I joined my local club Yate AC. I progressed quite well through the junior ranks and had my first international opportunity with Wales in the Celtic games in Aberdeen. I qualified to compete for Wales as my Dad is Welsh. This gave me a real taste for competing at a higher level. I’ve since been lucky enough to compete for Wales at other internationals including the Loughborough international and in Switzerland. I was fortunate enough to get selected by GB for the World Youth Championships which was an incredible experience and getting further selections is part of what drives me on. I am really looking forward to making my best attempt to be in Brisbane at the Commonwealth games representing Wales. I would say that whatever level you get to in athletics you will enjoy yourself whether it’s in a big international competition or a local league match. I can’t imagine myself without athletics in my life”.